Skyrocket your gains with these 4 super-dense workouts. Who says a good workout needs to take an hour or even more? If you&apos;re like me and have a busy lifestyle, with plenty of job/school/family obligations and endless amounts of "other stuff" slamming your schedule, finding a spare hour can be about as unlikely as watching a judge congratulate Lindsey Lohan on the progress she&apos;s made. That&apos;s the bad news. The good news is that a great workout can be had in only 10 minutes, just 1/6 of an hour. The key is upping the high intensity to account for the decreased training time. When time is short, think of yourself as a member of the Bomb Squad. You&apos;ve got 10 minutes to give yourself a high intensity workout - any slacking or lagging, and … BOOM. There&apos;s plenty of work and muscle to be had, so there&apos;s no room for a half-assed effort. 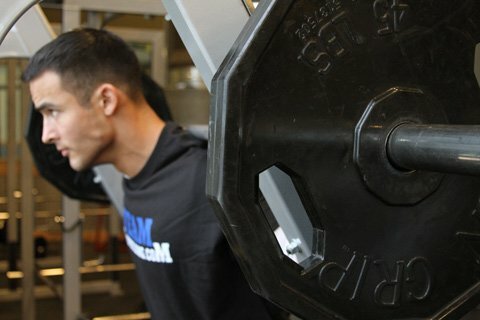 Intensity is the key to getting the most out of a quick workout. In this case, I am defining intensity two ways: work done per unit of time and intensity of effort. I understand there are differing views as to what the term intensity means and that intensity of effort is something that is hard to put into real terms, as it is largely subjective. In this case, intensity of effort is tied into extended set techniques and training to failure. Quick does not have to mean easy! 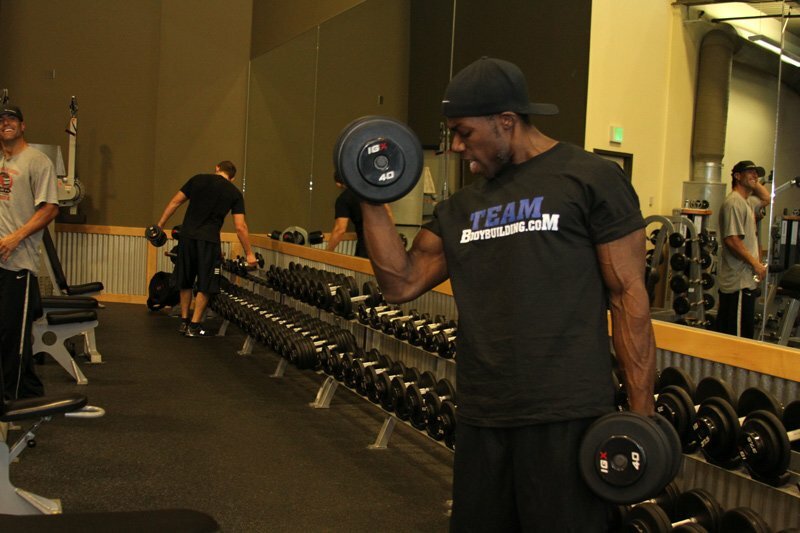 One of the other keys is to accept you will not be able to use a lot of exercises per bodypart. You have to make good choices here and pick quality movements. In every routine I will present, you will train with little to no rest between sets. Even the warmups will be done quickly. For the most part, we still want to work up to a heavy weight on the big basics, but we&apos;ll need to get there fast. You can still train in a progressive manner, which to me is first and foremost continuing to add weight on several core movements, such as Squats, Deadlifts and Bench Presses. Intensity Is The Key To Getting The Most Out Of A Quick Workout. Yet, progressive really means beating your performance from your last workout, doing more work in the same or less time, adding weight to the bar or adding a rep or two to a tough exercise. Even though I am not a "heavy duty" or "HIIT" advocate, as I tend to believe in the need for more volume, the concept of taking a set to or past failure makes sense in the case of the need for a short workout. Currently, the idea of training to or past failure has come under a bit of questioning, with many people going with the thinking that says failure is not necessary. I believe that even if you make an educated choice to not go that far in your workouts, you should at least experience it once so you know what it&apos;s like to really push yourself in your training. Personally, I tend to feel cycling progressively tougher workouts makes a lot of sense - variety is one of the keys to progress and one great way to maintain variety is to do different but progressive workouts. Those who follow my writings know I&apos;ve talked a lot about this recently - your body adjusts to your routine within 3-4 weeks and then it&apos;s time to change. You can make minor changes such as exercise order, body part groupings and so on and/or you can also make major routine changes such as going from straight sets to drops or rest/pause with static holds. I do think that, regardless of how your current routine looks, you should always keep certain core movements and should always strive to add weight to the bar on those movements. Workouts Makes A Lot Of Sense. Since much of my training currently has been short 10 minute sessions, I&apos;ll give you my exact routine for one week. Now, I don&apos;t train 4 consecutive days. In fact, I advocate training no more than 2 days in a row and then taking at least 1 day off. I train as my schedule permits but never more than 2 consecutive days. Superset - Two exercises are performed consecutively without any rest. Triset - Three exercises are performed consecutively without any rest. Pyramid Set - Increasing the weight with each new set while decreasing the number of reps. The weight is then reduced and the reps increased. Drop Set - Also known as strip sets, drop sets involve the immediate reduction of weight between sets with no rest. This will thoroughly burn out a muscle. I start with Deadlifts set up in a pyramid fashion with reps as follows: 12, 10, 8, 6, 4-6. However, on the first 3 sets I use a unique twist: I go from Deadlifts to Bent Over Barbell Rows to Shrugs, all one set, all done with no rest. The last 2 sets are too heavy to do this. On the last set I&apos;ll use rest pause (5 count) and static holds (the last rep only). Also, I rest no more than 10-15 seconds between sets. From here, I do Pulldowns but I have another unique twist: I have a standard wide grip handle hooked up, along with a V-grip handle. When I fail with the wide grip, I switch to the V-grip and continue for another 2-3 reps. Again, I use rest pause on the last set, with a slow negative emphasis. I do 4-5 sets, 6-8 reps with no more than 10 seconds rest. Sometimes, I don&apos;t rest at all. Notes: On the last set, pause in between reps for 5 seconds. There is a 15 second rest before moving to next set. This is a 10-minute routine. The key is to move quick and make the most of your movements. As you can see, by using exercise combining and extended set techniques, I can do just that. After 1 warm up set of Incline Dumbbell Flyes into Incline Dumbell Presses, I use a triset, a pre-exhaust superset and a drop set of two progressively lighter pairs of dumbells. So, I do the heavier superset of Flyes/Presses first (pre-exhaust), then the lighter flyes which I superset with the lighter presses. From there, I go right into a drop-set of Arnold Presses for delts using both pair of bells. I do this cycle 3-4 times and that&apos;s it. The problem here is I&apos;m not using as heavy a weight on presses as I should but I&apos;m trying something different for chest. Here&apos;s another chest example: 8 sets of 8-12 reps of dips done with no more than 10 seconds rest in between sets. I love squats, I always have. Yet for several years, I have not gone real deep, until recently. I now go as low as I can using slow, controlled but explosive up, reps. No pauses or stops unless I&apos;m using rest pause. So for squats, I use a similar pyramid scheme as for deadlifts: 12, 10, 8, 6, 4. On the last set, I use rest pause for another 3-4 reps (5 count). I also take no more rest than it takes to add weight. From here, I do 1 set of Calf Raises for 50-60 reps. That&apos;s it! Squats, especially full, deep squats work the complete leg: hamstrings as well as quads. 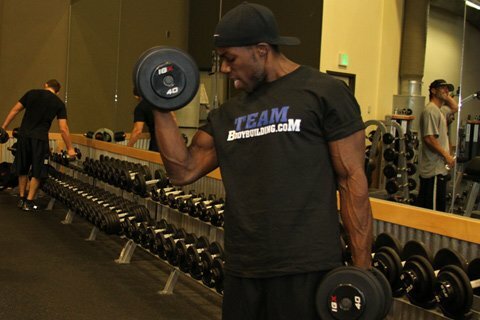 After 1 warm-up set, I&apos;m doing Incline Curls into Seated Dumbbell Curls into Standing Dumbbell Curls. I do inclines without supination but the seated and standing one arm at a time with supination. I add weight and do three quick sets (reps look like this: 8, 4, 4 - this is one set) and then, taking the same bells I just used, I do Seated Dumbbell Tricep Extensions. Now, I have two pair of pre-weighted bells set up, so I do a dropset plus I add a set of close-grip bench dips at the end, making it a triset. I go for 6-8 reps per exercise. I do this 2-3 times and that&apos;s it. I don&apos;t train this way all the time but when I don&apos;t have a lot of time this is what I do. To recap, I use a lot of drop sets, super and trisets, rest pause and static holds. I also train extremely quick. Abs which are not listed in the routines either get their own day or several sets on a day when I do have the time. So don&apos;t let time be a barrier for you any longer! Try this approach instead! No Time To Train? Try These Intense 20-Minute Workouts! Top 12 Training Guidelines For Sensible High Intensity Workouts! Go From Zero To Hero In One Year: The Ultimate 365 Day Muscle Building Plan! Jim Brewster - Jim is an expert trainer with years of valuable knowledge!